Our Bella chairs are classic and elegant with clean lines giving them an attractive appearance. Each chair is made of an aluminum frame wrapped with high quality outdoor wicker. Shipping: 1 to 4 weeks delivery time.If you need it faster, please call 1-877-271-8008 for an EXPRESS SHIPPING quote. Babmar comes with a 3 year warranty on the frame and rattan weave and a 1 year warranty on the cushions and covers. 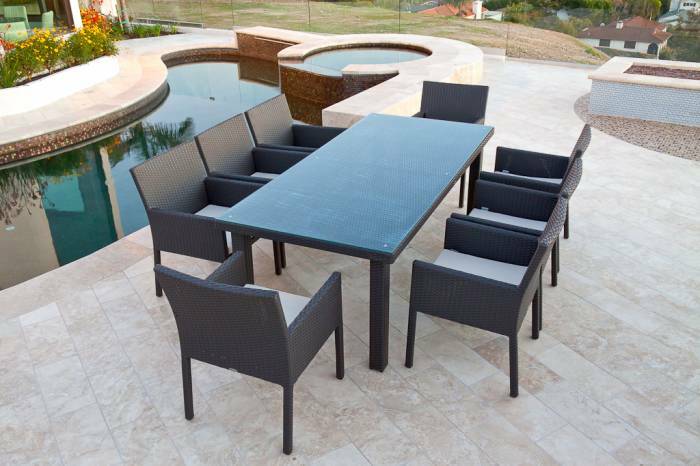 Warranty: Our premium outdoor furniture is designed and built to the highest standards to last for many years of enjoyment. Babmar warrants to you, the original purchaser, that our furniture and accessories and all its parts and components are free of defects in material and workmanship. If you find a defect in material or workmanship in any part or component, Babmar will, at Babmar's option, repair or replace the product at no charge. "Defects" as used in this warranty, are defined as any imperfection in material or workmanship that will impair the use of the product. Shipping Remarks: 1 to 4 weeks delivery time.If you need it faster, please call 1-877-271-8008 for an EXPRESS SHIPPING quote.